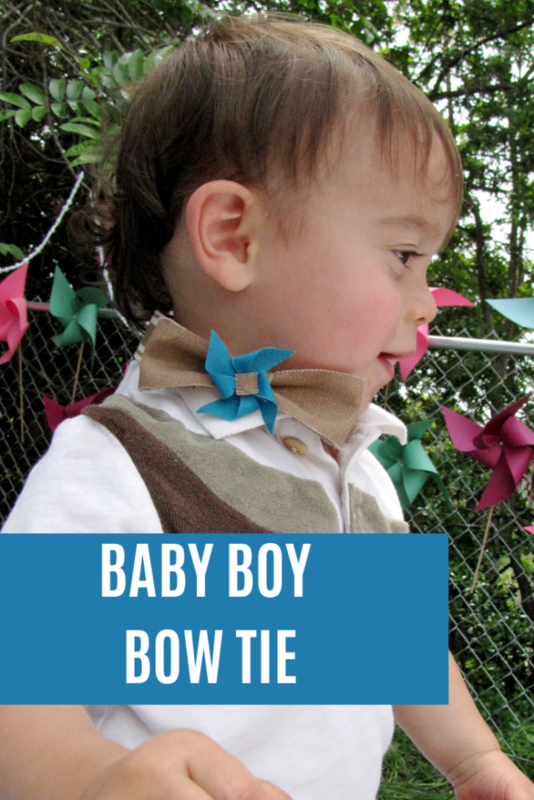 This DIY baby bow tie is a super easy beginner project that is so adorable for baby showers, birthdays or just for your boy to wear around! First start with 2 strips of contrasting fabric, 16in X 1in. 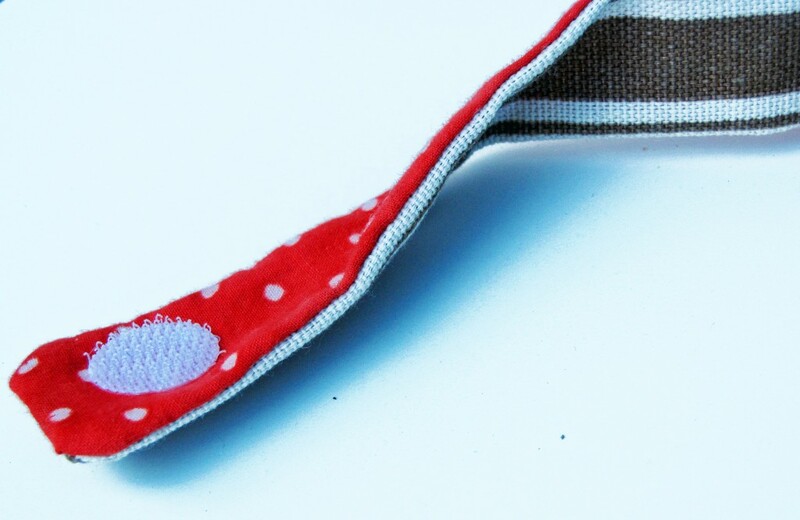 Sew the strips together to form the baby bow tie band. 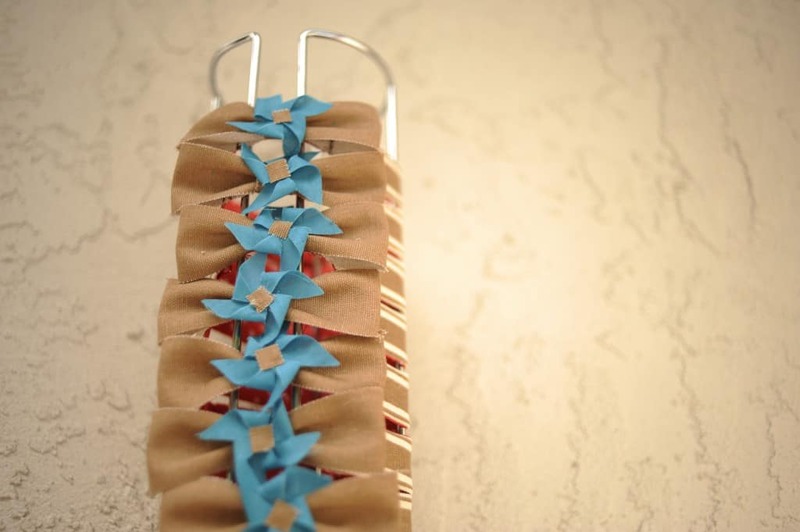 Leave a small opening and turn inside out with a pencil or safety pin. Press and finish off by stitching circles of Velcro, or a hook & eye to each band end. Take the fabric for the actual bow and cut it down to 11 x 1.5 inches. Fold the fabric inwards towards the back, 1/4 of the way in on each side, fabric glue or stitch to hold into place. 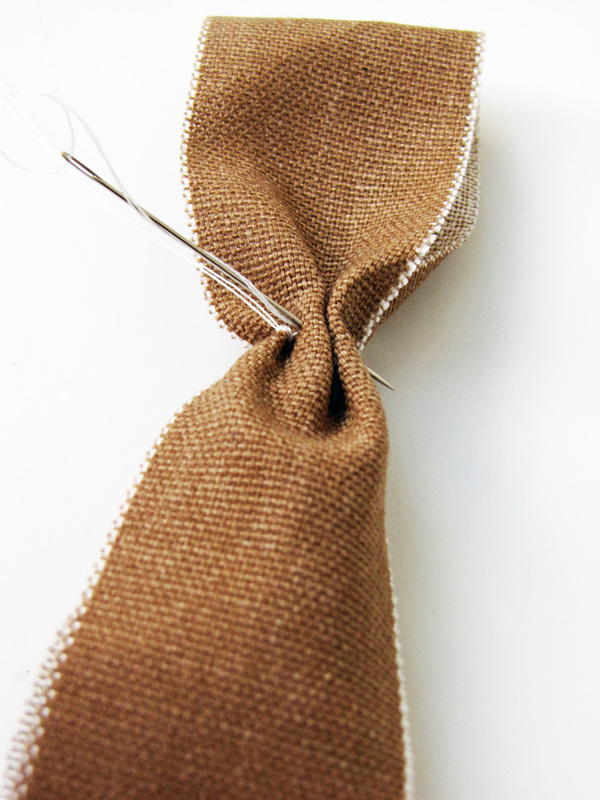 Fold down the front of the bow, scrunching together in three parts and stitch bow into place, then attach the bow onto the neckband. 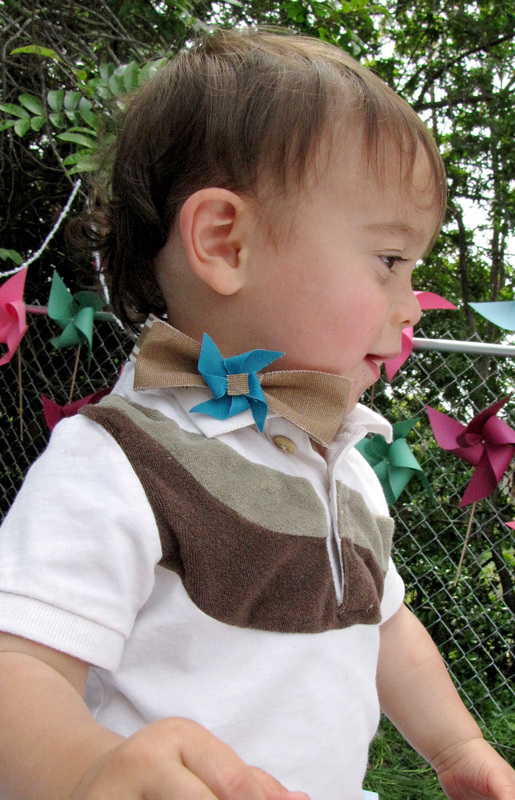 This will leave you with a simple basic boys bow-tie, all you need to add is the pinwheel. 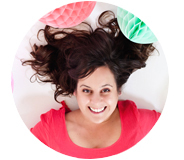 To make the pinwheel, I followed the same steps as the paper pinwheel tutorial. Take a piece of fabric cut to a 1.5-inch square. Make cuts in all four corners, then begin folding in towards the center. Fabric glue or stitch the corners into the center. When finished hand stitch to attach the pinwheel to the DIY baby boy’s bow-tie band. 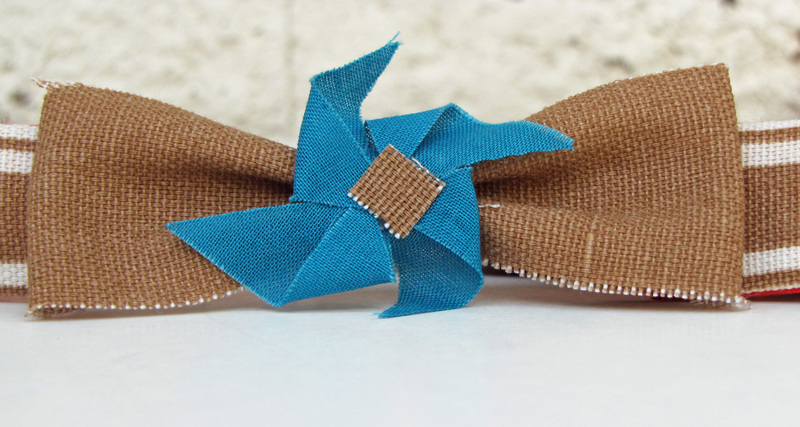 Cut 1/4 inch piece of fabric that matches your baby boy bow tie DIY. 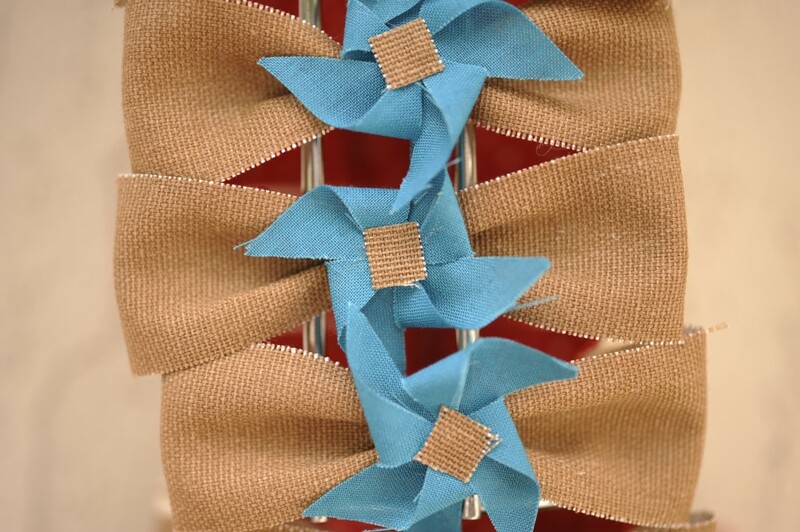 Use a dab of fabric glue and center it directly on top of your pinwheel to finish it off. Or make a bunch of baby boy bow ties for fun party favors that will be joyfully received. how stinkin cute! I love it! Adorable. And I love your little guy’s shirt too! Pingback: The Bow Tie Bandit REVEALED!! !